The ESP8266 is one of the most popular wireless modules in the world of makers. It is well known for being a useful tool for the Internet of Things (IoT). 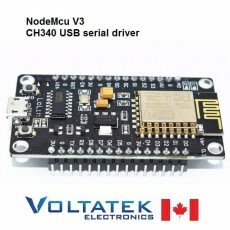 This low cost WiFi module lets you connect the objects you create to the web using simple serial communication methods. Used in pair with a phone app, this Wifi module can be the masterpiece of your next projects! 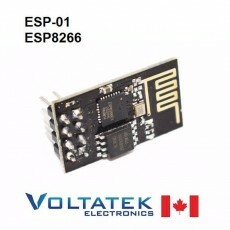 Usage of this ESP is easy to learn, thanks to the tons of documentation and tutorials available on the internet. Connect the ESP8266 to your sensors and machines using SPI or UART serial protocols. 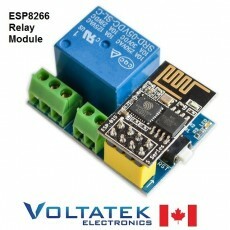 Please make sure you supply the module with 3.3 volts ONLY ! You may damage the module if you use a higher voltage. perfect for internet of things! Fast shipping! !